But what exactly is experiential marketing and why is it so effective at connecting with audiences? If you’ve ever wondered how your business can utilise experience marketing and what impact it will have then read on. This is the ultimate guide to experiential marketing. We’ll be exploring what it is, what the benefits are as well as taking a look at some rather different examples to explain why more and more brands are investing in this powerful strategy. Up until a few decades ago advertisers relied on a few advertising channels like billboards, print advertising and TV. The advent of new portable technologies such as laptops and mobiles has allowed advertisers to reach us in our homes and offices. Even when we’re on holiday! It’s no wonder that consumers block annoying pop-ups and opt out of invasive tactics that so many brands choose to employ. For this reason event marketing has grown exponentially over the past few years and is fast becoming recognised as a viable and highly profitable way of effectively connecting with audiences: a solution that often yields longer lasting results. Arguably, experiential marketing has always existed. Attending an event, product sampling, test driving and even stepping into a store are all forms of experience marketing. However, the difference today is that consumers now expect such scenarios to be defining, life-changing events. As a live event production agency we have seen a dramatic increase in the number of events that demand something different, fresh and innovative. An event that goes beyond all expectation and not only involves audiences but requires them to play the lead role. Intrigued? Experiential marketing can be defined as being the act of promoting a product, service or brand through audience participation. Brands connect with their audiences by allowing them to experience, take part, create and explore. Participation: Audiences are expected to get involved. If a product is being launched then event marketing dictates that audiences should be invited to sample it for themselves. Utilise creativity: With any event, experiential marketing as about thinking outside of the box. Event organisers must therefore employ creativity to conjure up ways of making their events memorable. Adoption of digital applications: Many events and experiential campaigns utilise creative digital applications as a way of capturing leads, or creating immersive experiences. Live interaction: Not just limited to events but there is normally a live element. Innovative and distinctive: If you want to create a lasting impression then you have to create experiences that are highly unique and distinctive. For us, the advent of experiential marketing has legitimised our desire to provide more creative (borderline eccentric event ideas) simply because more of our clients have been willing to push the boundaries in their quest to provoke an audience reaction. And we are in our element! However, experiential marketing campaigns are not limited to event marketing. Although there is inevitably a ‘live’ element to experiential campaigns, experiential marketing can take place on an exhibition stand, in a shop, a city centre or just simply be an interactive shop window or store display, or bus stop! There are many great examples of engagement campaigns and here are some of our favourites. Experiential marketing isn’t just limited to ‘one-off’ events or campaigns. Some retailers have adapted their entire offering around an experiential concept and have thrived as a result. Yo Sushi is a great example. When they first opened in 1997 the concept of offering authentic Japanese street food wasn’t exactly groundbreaking. What made them different was the experience they created. By bringing the chefs out of the kitchen and putting them centre stage allowed people to be part the action. Additionally, letting customers help themselves to food from a conveyor belt fully immersed customers in the experience. How do you think a store that only sold bears would fare on today’s high street? Terrible, right? Toy store giants Toy’s R Us only recently announced the closure of a third of their stores due mainly to online competition however, one brand has the key to success. Build-a-Bear have successfully created an in-store experience that allows customers to get involved. They not only offer kids the chance to customise their own bear but – more importantly – take part in the entire bear construction process. The automotive industry have also made their mark in the world of experiential marketing. By transforming showrooms they have changed the way in which people experience their products. We recently did a pop up shop for a luxury car brand. It allowed people to explore the artisan craftsmanship behind the beautifully built interiors. Customers were allowed to create and customise interiors by selecting the colours and finishes they wanted. Although customers could have visited a ‘normal’ showroom, the experience we created allowed them to explore the finishes and feel the quality in a tactile way. 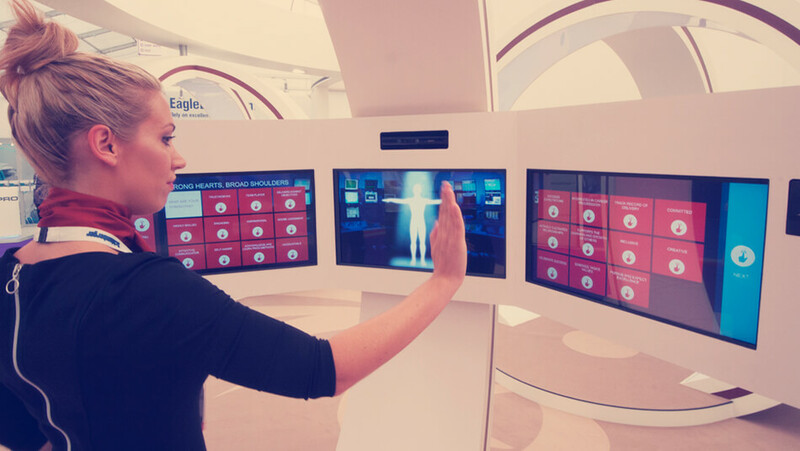 Reach: S. Smilansky reported in Experiential Marketing: A practical guide to interactive brand experiences that people who attend live brand experiences are likely to tell around 17 other people. However, that was back in 2009. Now,with access to a multitude of social media channels we think this is likely to have a far wider reach. Word-of-mouth (WoM): Of the 17 people above who get told about an event it is estimated that these people will tell a further 1.5 people on average. Not only does this help spread the word of campaigns but, as we covered in our last blog, 92% of consumers trust customer referrals. Brand Ambassadors: We know that events and distinctive experiences have an ability to transform passive audiences into brand ambassadors and the power of building a loyal following shouldn’t be underestimated. 70% of users become regular customers after an experiential marketing event. 5% of companies with event budgets between $50-100 million say they expect an ROI of more than 5:1 for live event and experiential programs. An obvious downside? Live events are big investment. It’s also harder to calculate impact and ROI because it’s not simply a case of monitoring the number of clicks. Instead people will talk, share and boast about their experience. Although this clearly leads to sales, it’s difficult for marketers to directly attribute these to the event they held 3 days ago. Up until a few years ago a lot of brands regarded experiential campaigns as an added luxury. However, with more accurate ways of measuring results and ROI, brands – particularly retailers – are beginning to give experience campaigns the priority they deserve. Experiential marketing offer brands the chance to connect with audiences. It gives them the chance to provide tasters, previews and meet real people to increase desire. We believe that experiential event marketing is still in its infancy. In time more and more brands will be adapting to the demand for exceptional experiences. Many of the experience campaigns that we’ve created have relied on even more creative uses of technology. Take a look at how creative technology is being used to create effective and engaging experiences.